Is there anything more satisfying than having your own personally crafted sushi roll? That’s what our sushi establishment offers. Here, you can pick your own sushi roll. First, you pick your choice of roll, either seaweed or soy. Then, you have a variety of protein to choose from. Be it cooked or raw, there is a wide array of choices at your disposal. From salmon, chicken, and shrimp to tuna, salmon, and yellowtail, you will not have a shortage of options. That isn’t where the fun ends, however. You still have to pick your choices of fillings and additional toppings to supplement your roll. If you would like additional protein options, they can be made available to you for an extra 2.50 charge. Do you enjoy miso or edamame soup to go along with your roll? For an extra 4.00, it can be also yours. Our premium toppings include avocado, Krab Mix, and Hot Mess Mix. 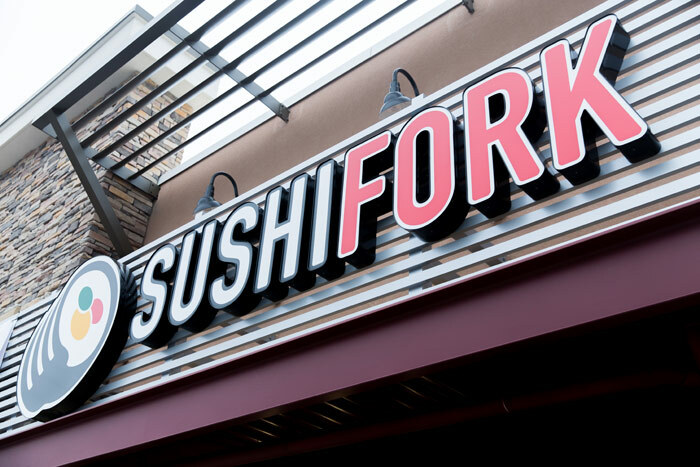 Amongst our abundance of options to satisfy your sushi cravings, we have some notable favorites and standouts from the group. One, in particular, is the California Roll, comprising of Krab Mix, crunchy cucumber, and savory avocado. The Hot Mess sushi roll also has found popularity. With Krab Mix combining with cream cheese, spicy jalapeno, and Hot Mess Mix, you may be craving for more. 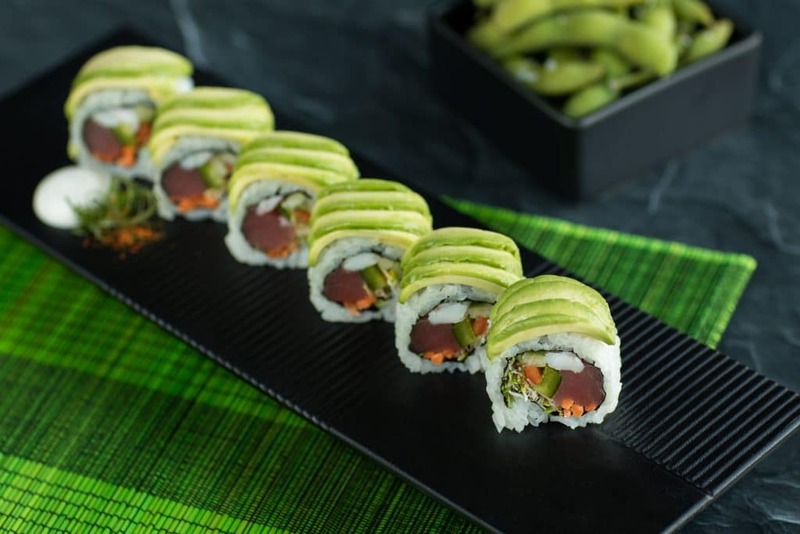 We do have options to suit every sushi palate, as the Carnival Sushi Roll is another standout. Its contents include yellowtail, salmon, spicy Hot Mess Mix, cream cheese, crunchy bell peppers, and jalapeno. Its topped with spicy mayo, sweet soy sauce, scallion and togarashi for additional flavor. Our menu is further diversified as we also offer sushi burritos. Combining the cooked or raw protein of your choice with additional toppings, the texture of a burrito can be for you. We also offer a variety of salads, desserts, and beer. We satisfy all ages, and we offer a kids menu, featuring chicken bites, teriyaki chicken, corn dogs and french fries. Our customized menu ensures that you make a proper decision if you have certain health restrictions in your diet. Using our sign code towards the end of the menu, you will find next to each of our choices which options are spicy, gluten-free or if raw items are present. 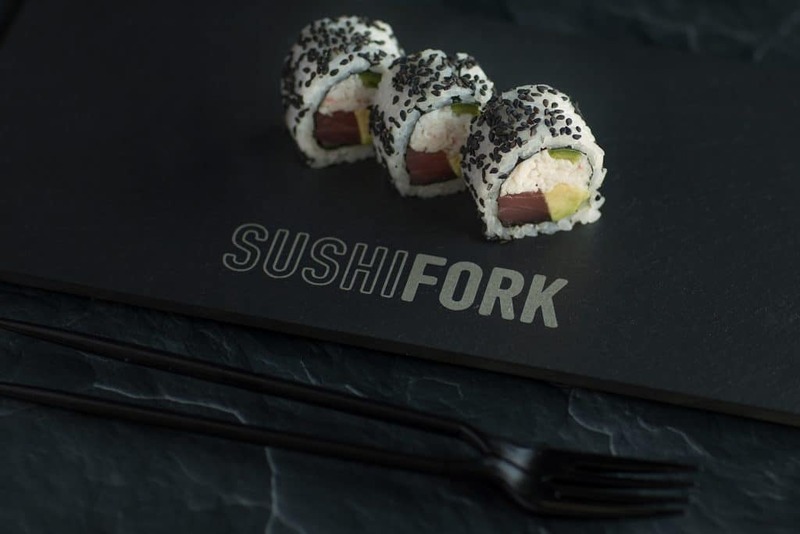 All of our foods are designed to satisfy every kind of sushi appetite, but everyone cannot have each option, so please practice caution before your meal is prepared. Having a big get-together? A graduation party? If you have any large gathering, you may be interested in our catering availability. Contact us prior to your event, and we will have all of your sushi freshly prepared and ready to be delivered to your occasion. It is our pleasure to prepare delicious sushi, and if you have a craving for it, please visit our establishment, where you get to pick your own customized sushi just for you. All you have to do is pick, and you can leave the rest to us. 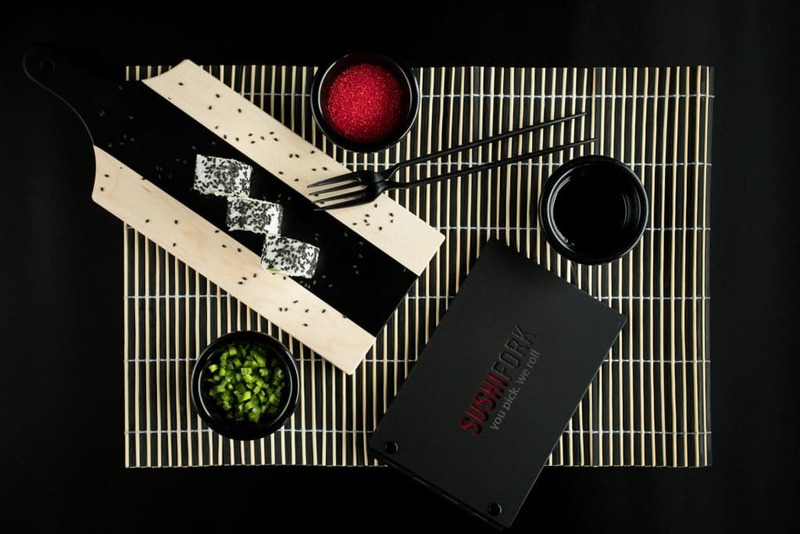 At SushiFork in Dallas, Texas we know that sushi is one of the most beloved foods by people of all kinds, and this is why choosing to cater sushi is a great way to delight the senses of anyone who is attending a personal, public or corporate event. 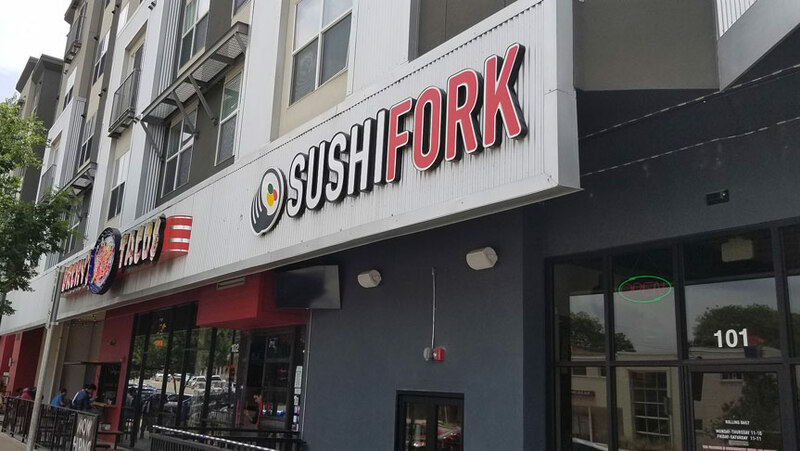 SushiFork of Dallas catering is affordable, fun and highly customizable so that you can have dishes created to meet your guests’ needs and desires for delicious and freshly-prepared sushi.